ProgeSOFT Italia participates at MADE Expo, Milan’s trade fair dedicated to Architecture, Construction and Design from Wednesday, 8 March to Saturday, 11 March in Pavilion 10, Stand E11 – F12. At this event the company will be showcasing the progeCAD Professional and iCADMac software products. progeCAD Professional is an affordable DWG/DXF-native CAD package, ProgeSOFT’s best offer to all users who work on the Windows platform. The software is compatible with AutoCAD® and supported on Windows 7, 8, 8.1 and 10. progeCAD is distinguished by integrating a series of add-ons, extra tools offered for free in the software: the PDF to DWG converter, the vectorizer, Google® Earth® Export, the 3D EasyArch architectural plug-in, blocks libraries, advanced rendering. Thanks to its numerous features and functions, the software has become a handy and reliable working tool for architects, engineers, designers and other professionals using CAD. Not only progeCAD, MADE Expo visitors who are Mac addicts will have a chance to get all information on iCADMac, our DWG-native CAD package for Mac OS X and the proven replacement of AutoCAD. “ProgeSOFT is taking part in the MADE Expo exhibition in Milan for the third time, and we didn’t want to lose this edition either! We believe it is of vital importance to showcase our products in this prominent trade fair where we have good chances of meeting both our customers and new potential clients. Our objective is to reach as best as possible our vast target audience because our CAD is able to help professionals make a difference in their design work. We hope to see a lot of visitors!“ commented Dino Spatafora, Commercial Director at ProgeSOFT Italia. The ProgeSOFT Italia team will be at your disposal at Stand E11-F12 to demonstrate, explain and clarify our software functionality. Moreover, you still have time to request a free entry ticket by sending an email. If CAD is of interest to you, visit us at MADE Expo, from Wednesday, 8th March to Saturday, 11th March 2017. For more information, go to our website www.progesoft.com, or you may also find all the updates on our company’s official pages on facebook, google+, linkedin, twitter and YouTube. Some time ago we made contact with a few companies dealing in design of safety equipment. One of these companies pointed out an issue that progeCAD Professional was able to smartly solve. 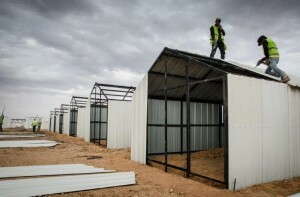 This company is specialized in design of protection lifeline systems for roofs, installable in the waterproof roof covering and the thermal insulation, and intended for the public and industrial buildings. progeCAD, actually, proved itself to be an efficient tool even before getting down to the design phase; the program allowed to reduce the costs of the project estimate, which is often an onerous burden for the company budget. progeCAD enabled the company to skip over the on-site survey which using the software turned out to be an unnecessary step. Our technical specialists recommended that the company make their accurate estimates with the help of the integrated Google Earth, a powerful tool included in progeCAD. With this add-on, the user can place CAD models against a background of a location offered through a vast choice of Google Earth maps which are imported and geo-referenced in progeCAD. In this specific case progeCAD made it possible to take all the measurements and calculate the surface area by simply making a drawing straight on an image of the building imported from Google Earth. The User benefited from making considerable cost cuts, doing without an on-site survey and still maintaining high quality and accuracy in the estimate of costs. What is no less important is that this add-on offers another possibility, namely the publication of CAD models in Google Earth. For more information on the plug-in for progeCAD, click here. 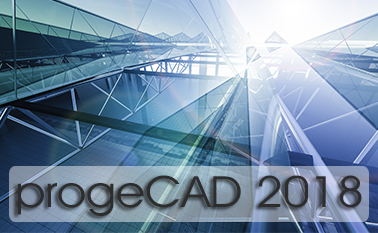 ProgeSOFT SA is striving to come up to meet expectation of its CAD users and is taking part in spreading CAD as a technical tool for the academic and professional worlds through offering solutions to existing issues and improving its users’ daily design routines. Likewise this case, progeCAD has demonstrated to be a true alternative solution for private design studios and technical offices that can easily handle their projects with an advanced and versatile CAD application. progeCAD Professional is available in its trial mode 30 days for free by clicking here. The dedicated videos and tutorials on this program can be found on the official YouTube channel while to stay tuned and updated, please visit our facebook, twitter, linkedin, and google+ pages.